I have an aunt and uncle (twins) who turned 80 years old this year. My aunt has wanted to have an art show in honor of my grandparents for years. There is a lot of talent in the family and she would like everyone to join in. So I will be in Tupelo, Oklahoma on September 22 for this show. 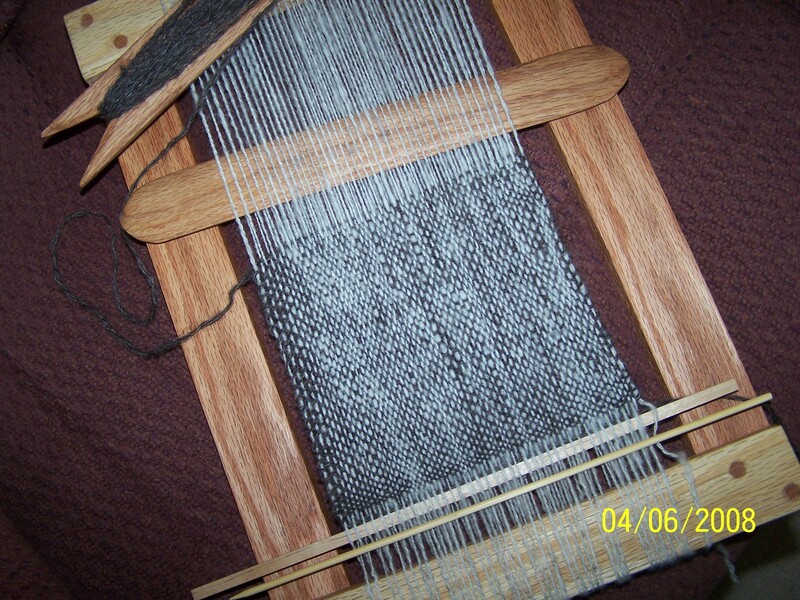 I will be doing demonstrations of spinning, weaving, naalbinding and card weaving. This needle book will be one of the things that I will have for sale. I have had this fabric stored away with many other things I have made. 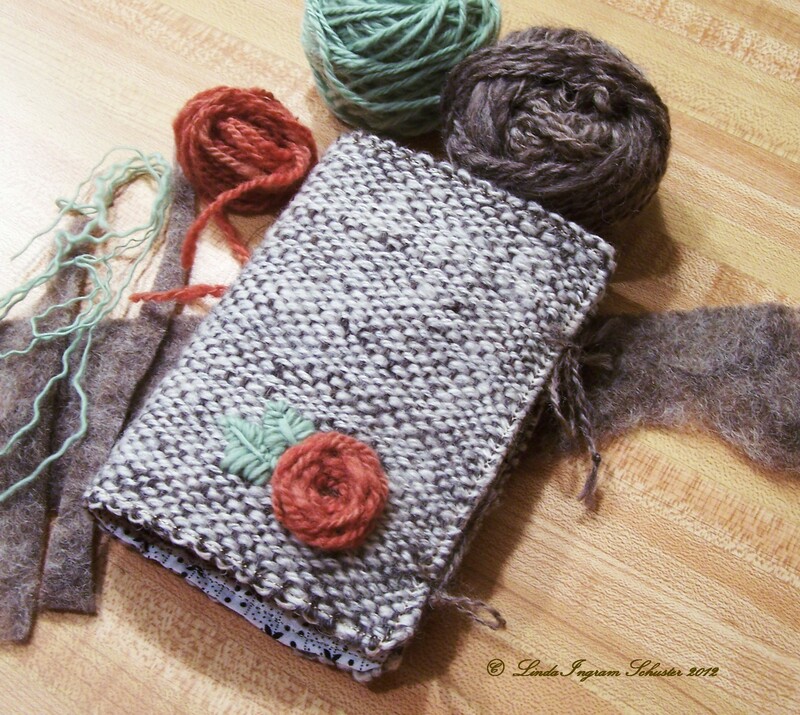 Well, I decided to use it to make a needle book. 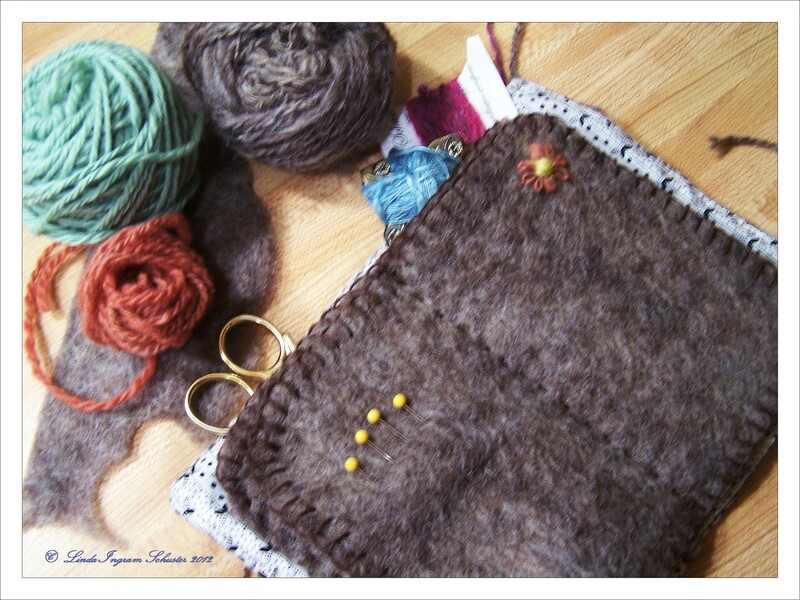 I started by felting some wool that also had stashed and after it dried completely I began. 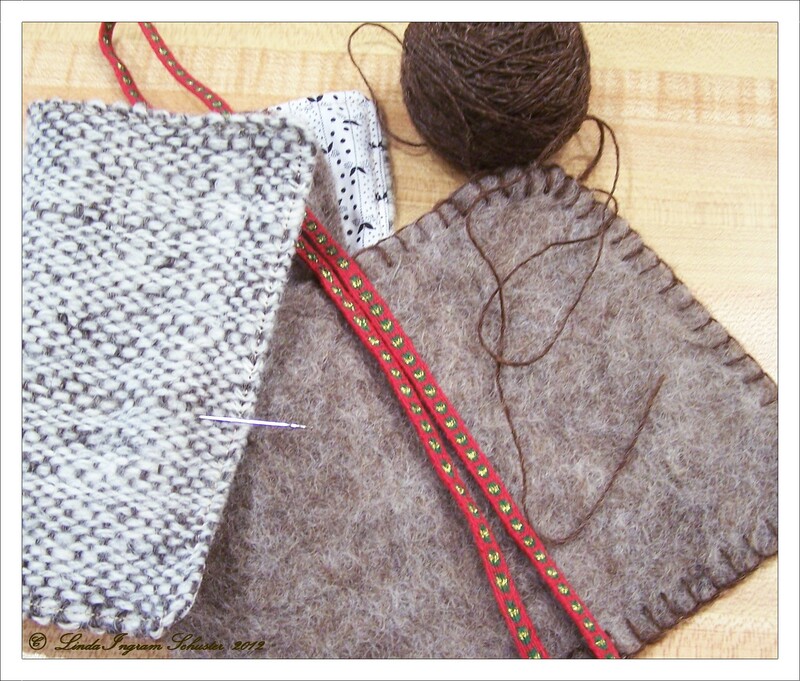 The finished needle book has large pockets on front and back covers for scissors and accessories. This entry was posted in Card Weaving, Crafts, Embroidery, Felting, Fiber Preparation, Handcraft, Handwork, Historical Textile, Naalbinding, nalbinding, Needlework, Sewing, Spindling, Weaving and tagged craft, crafting, Crafts, create, handmade, Handwork, Sewing, spinning, Weaving. Bookmark the permalink.